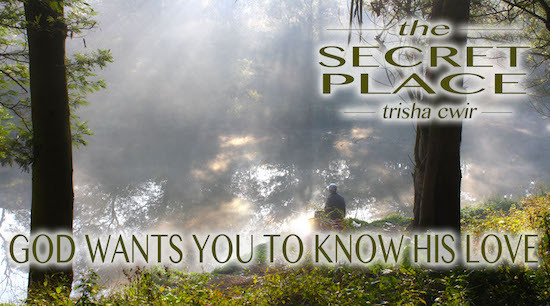 This is the fifth and final part of Trisha Cwir’s guest series on the secret place. This is her prayer that closed her talk. You can go here to check out her the full series at the Secret Place. I just feel the Lord’s heart. He’s so delighted in you. I feel there are people in here that need to hear that right now. He’s so proud of you. He’s so pleased that you have given your life to Him when things did not make sense and that you continued believe Him when you did not see the supernatural. When you did not see the healing. When you did not see the breakthrough, you continued to believe. And, you did not disown His name. Not everyone does that. Not everyone does that. People actually lose their faith. And you are not one of them. And the Lord is so pleased with you. For every time you have spent in the secret place He knows. He has seen it. He knows that this is a congregation and a people where many of us do spend time in the secret place. And He has seen all of those times. He’s so pleased. But He can’t wait. He can’t wait. He can’t wait. He wants more. He wants more of your time. But He doesn’t want you to come to Him because you have to. He wants you to know that it is the most beautiful place and you are destined for it. And even if at first your flesh wants to say, ‘no’ (and you do have to overcome that), God wants you to know it’s so worth it. It’s so worth it. And we all know it. We don’t want to spend that time because we want to watch a movie of something. But we go and we spend that time, and it’s like, my whole life is better. Everything is better. Everything. Even the plants and the trees and life and everything is richer and fuller. I just feel that He wants to speak to those of you that have gone into the secret place and hear a voice that is condemning you. And you think it is God. And, I’m here to tell you, that is not God. That is not the voice of God telling you that you are not doing enough. That every time you go there, that is not what God does. He doesn’t go, ok well I’m glad that you finally came. Now you better spend two more hours with Me every day for the rest of your life or I’m going to be mad at you. That’s not what He does. He died so we can hang out with Him. So He’s like right away, I love you! O, you are spending time with Me. This is the best. I can’t wait. There are so many things I want to tell you. He’s just exploding at the seams every time you come. So if that is not the voice that you hear, then just turn your ears away from that accusation because it is not the Lord. It’s not the Lord. So say, ok God, where are You? Then just see His big, beautiful eyes. Whatever color they are. Brown, blue, hazel. Just see them. Just see Him going, YEAH! He’s spending time with me. This is so awesome. Yeah. I’m so happy. I just want to talk about all the cool things we have been doing lately. Remember that time and this happened. And, oh, this thing is going to happen today. Just so you know. He’s so excited. He’s so excited. So I just break off all those voices. Anything accusing you. Anything that’s just telling you, you are not doing enough. Even as I am speaking this message if you are feeling like, “I’m not doing a good enough job in the secret place.” It’s not the Lord. It’s not the Lord. That’s the accuser. The Lord is just saying, Yea! I’ve been waiting. Of course, He longs. He does longs. He does have desire for us. But He is not like, “all these people, you know, they won’t spend time with Me.” No. He is so opposite from us. So we just thank You, God, for expressing Your hearts to us. We just thank You that You are just bursting at the seams to tell us that You love us. That everyday, You just want to tell us something new about us that we didn’t even know about ourselves that You like. That You like that we dress different than other people. Or, that You like the way we fixed our hair today. Or, that You like that encouraging word that we gave Billy Bob down the road. Whatever You are speaking to us God, we just thank You that You just want to speak these words to us. That the only reason why You ask us to spend more time in the secret place is because You miss us. Just because You miss us. Let us know that God. That You are not condemning us. You are not condemning us, but You do know that it is better for us to be found in You and to have our hearts be made one with You in that secret place. Yes, continue to remind us about this everyday. Make us addicted to the secret place, God. 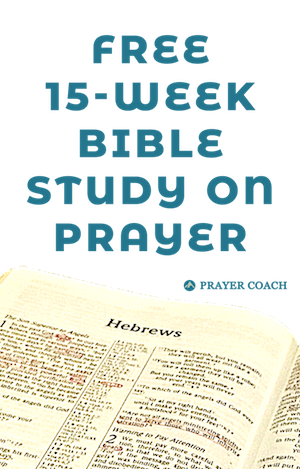 We ask for a holy addiction to our relationship with You, God. That we would see You just like a man sees His wife or a wife sees her husband. God, that we would just see you as the lover of our souls. That we just can’t wait until the next time we can hang out with You and You alone. May that be our hearts’ cry, God. Make us united in love God. Make us one. Make our hearts one, Jesus. Show us the mystery of Christ and the Church. The mystery of the marriage of the lamb. Reveal it to our hearts, God. Just take a minute, close your eyes, and hear what the Lord has to say to you. Just hear His words of affirmation. Because that’s what He is doing. He is affirming you. Hear the good things He has to say. He’s saying you are worth it. You’re worth it. You were worth it for Me. My life poured out. My body poured out. You were worth it. Please know I love you so much.